Geoff, Karen, Zac, Will and I ventured to LA to see the Greater Los Angeles Auto Show. The weather was incredible, raining the whole day and absolutely pouring on the way home. But we survived. Saw a lot of neat cars and a lot of stupid ones. Saw the Spyker, a car that I have been wondering about since we saw it parked outside a resturant in Carmel, on our 2004 Monterey trip. It was dark and we couldn't see much other than they looked neat. Well, in the light, they are ugly as hell. Airplane theme on everything (because Spyker used to make plane parts), even the steering wheel. is shaped like a prop, ugg. Read the blurb here. I think the most interesting car was the Venturi Fetish, an electric sports car. It costs 600K but the rep said that in 10 years or so the parts would be cheap enough to build it for $30k. I look forward to that day. 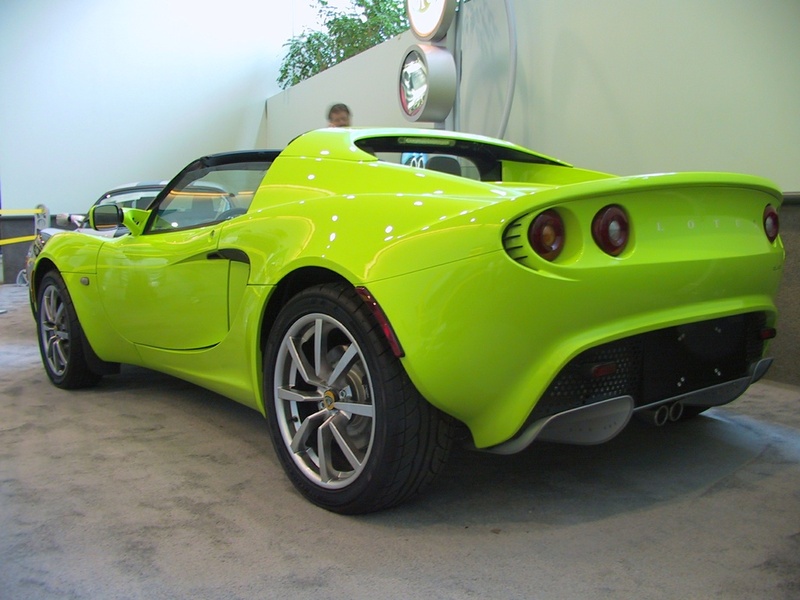 I also pretty much decided that I'm going to buy a Lotus Elise in 2 years.